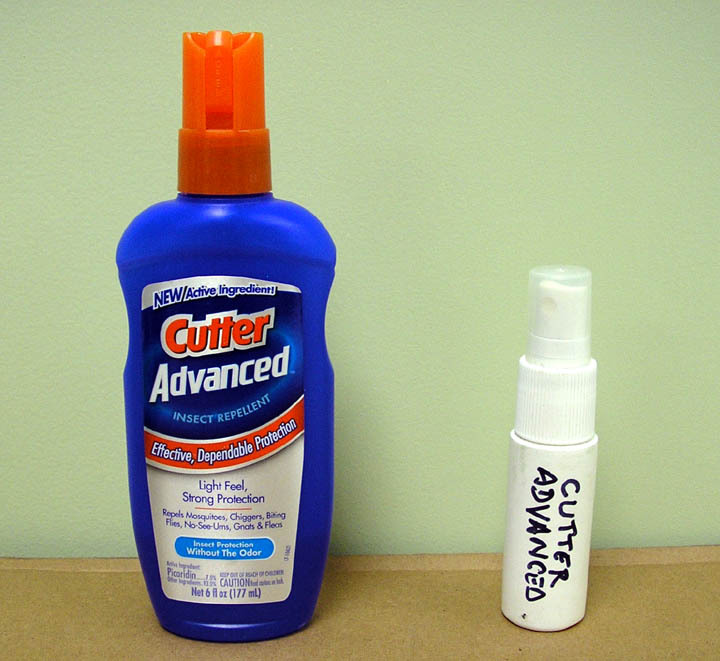 Cutter Advanced Insect Repellent (hereafter referred as Cutter�s) is a personal insect repellent that is based on the active ingredient Picaridin. The bottles that I have say that they contain 7% Picaridin and 93% �other ingredients�. Mine came in the blue spray-pump bottle shown above. The front label claims that it �repels mosquitoes, chiggers, biting flies, no-see-ums, gnats and fleas. It also lists a bunch of precautionary statements (including that it is flammable, cool) and disposal information. The following are some of the company�s marketing points about it, I will comment on them later. *Odorless � No chemical odor and no added fragrance. *Feels light and clean on your skin. *It will not harm plastics or other synthetic materials. *Cutter Advanced can be used by the entire family. I have used this repellent outside of Palm Springs on the Pacific Crest Trail and the Skyline Trail. It has been with me on a 108 F (42 C) hike along the Kern River and up to then down the Rincon Trail. It has been used a lot in the Domeland Wilderness and the surrounding Sequoia National Forest where I took four backpacking trips and a camping trip in 2005. 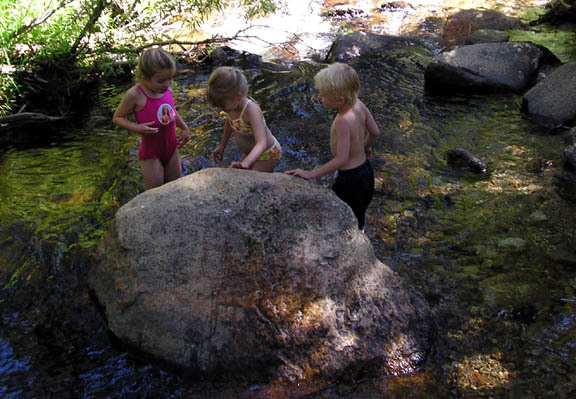 It saw a lot of use in Kings Canyon along Bubb�s Creek and the Kings River. I have used it in my regular local stomping grounds around Mounts San Jacinto and San Gorgonio. I first read about Picaridin and its use in Europe early in 2005. A friend forwarded me a link to a press release from Spectrum Brands that said they were cleared to begin sales of Cutter�s Advanced, a Picaridin-based repellent in spring and I immediately started trying to find it here in California but was not able to. I found it in Minnesota on one of my monthly trips and brought a bottle back to begin trying it out. I have always used 100% DEET for my backpacking trips and am quite satisfied in its level of protection. What I do not like about it is the oily feeling that it leaves on me, and I can not stand the odor of it. The fact that it ruins clothes is a strike against it also because there are situations that I have to put it on my clothes as the mosquitoes were biting through my shirt and pants. So the fact that it claimed to be clothes-safe, odorless and non-greasy was attractive to me. The smell when it is first applied is kind of like rubbing alcohol. The odor goes away within a minute or so. It dries on my skin very fast and leaves no residue. California had a record-breaking winter and spring for snow and rain fall amounts that year and the insect population was a hungry buzzing testimony to the fact. It was the worst year for bugs that I have ever seen. On one trip I opened my truck door at my Big Meadow trail head in Domeland and was attacked inside of the vehicle immediately. I received about four bites by the time I could get the Cutter�s out of the side pocket of my Vapor Trail pack and squirt myself down. But the result after doing so was instant relief from bites. They hovered about a foot (30 cm) away from me whining with the frustration of a meal denied. 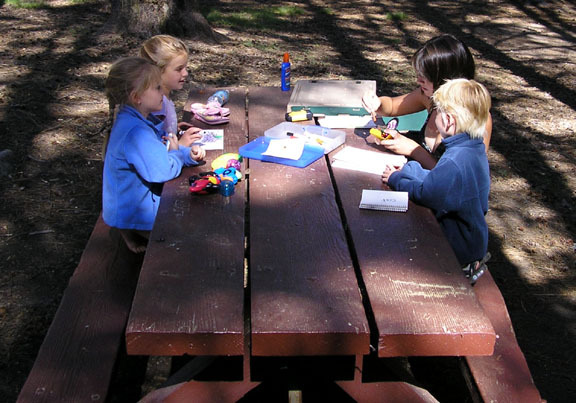 A month after that trip I brought my six-year old twins Emma and Raymond to California for their first real camping trip. We stayed at a beautiful remote campground in Sequoia National Forest that I had found while driving to one of the Domeland hikes. As a creek ran through it (see below) I knew that the insects would be bad and I wanted the kids to be protected and comfortable. Since I had been experiencing good results with the Cutter�s Advanced I brought a bottle with us. My sister and her family came also. They brought 3 different kinds of �Natural� insect repellent from a health food store. The bugs were horrendous. Besides mosquitoes we were also assaulted by deer flies and horse flies. I sprayed my children and myself with the Cutter�s and we happily set up camp. Within a couple of hours my sister�s kids were getting eaten alive. Her four girls all hit my Cutter�s and finally as the afternoon wore on Jennifer admitted defeat and asked to use it. We spent three days there and were very happy that we had the Cutter�s along. Unfortunately it does not last as long as I would like to see. If I am sweating hard I have noticed it wearing off in two to three hours. And as they recommend applying it no more than three times I will run out of coverage before my days mileage is put in. Needless to say I ignore the warning and reapply as I need to. Because of this I am still taking the 100% DEET on trips over four days in duration. I hope that Cutter can figure a way to boost the effective time. I also think that a lot of the product is wasted especially if there is even a gentle breeze blowing. I think that this year I am going to try hand applying it and see how that works. It will continue to have a spot on the shelf and I hope that further improvements will be forthcoming.